San Luis Obispo police arrested a Bakersfield man on Wednesday for allegedly robbing a San Luis Obispo bank on Monday afternoon. Following the armed robbery of the Heritage Oaks Bank on Froom Ranch Way, police released photos of the holdup to the local media. 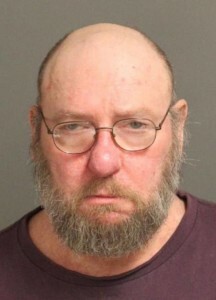 A citizen then identified Johnie Dean Arnold, 54, as the robber. On Wednesday, San Luis Obispo Police detectives and Kern County Sheriff deputies arrested Arnold at his home in Bakersfield. He was booked into the San Luis Obispo County Jail with his bail set at $250,000. Arnold is also a suspect in the armed robbery of a Union Bank in Goleta on Nov. 2. That’s not the Santa I remember as a kid. His one mistake….forgetting to take off the fake beard.